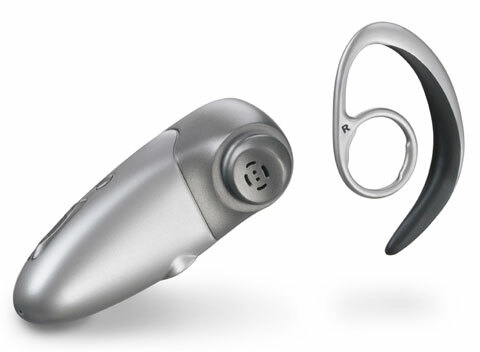 Plantronics organized announcement of M3000 with pomp, it has taken place at CeBIT. Following all the rules, it has been said about revolutionary product for mobile phones, and the new headset was presented later. For promoting the product, company has staked on the operating time from one charge. 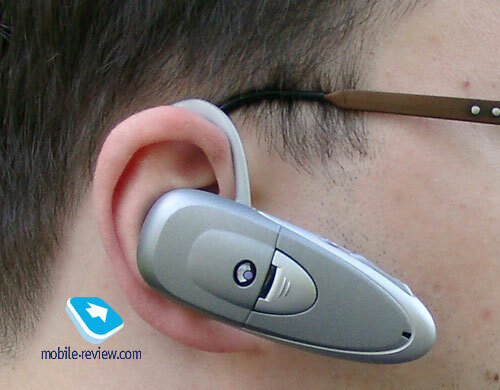 So, according to the manufacturer the headset provides up to 200 standby hours and up to 8 hours of talk time. Such parameters look record, especially against a background of the previous model – Plantronics M100, which operated during one day. In many cases M1000 operated less time, it was demanding on the phone, used with it. 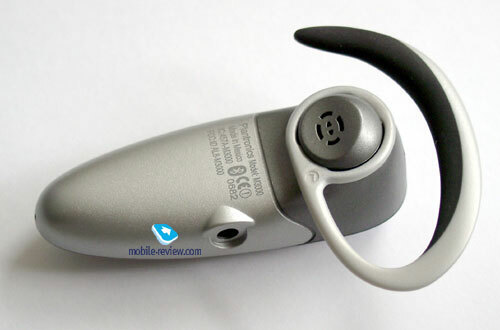 Not many people know about the existence of Plantronics M2000, although it was produced in big quantity. 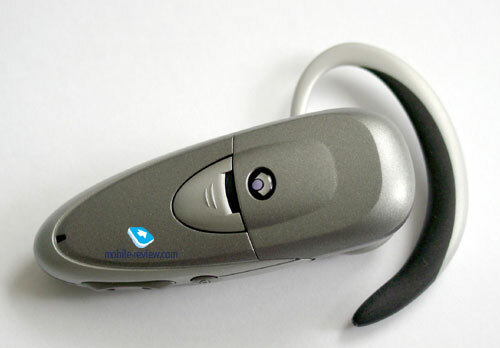 The point is that this model was never sold under Plantronics brand name, it is known as Nokia HDW-2. Plantronics M3000 is constructed on this platform. The design remained semipermanent, but controls have changed and also weight and dimensions. 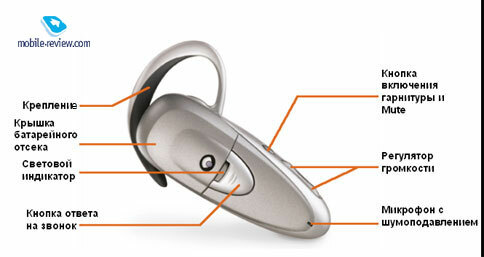 The headset is traditionally produced in Mexico, at Plamex factory, which belongs to Plantronics. Those, who have ever used HDW-2 will understand M3000’s organization principle. The standard kit includes two holders, the first holder is a little bigger, and the second one is a little less. You should choose a holder for your ear; you can also adjust it for carrying on right or left ear. To do this, you should turn the holder. Holder’s internal side is made of soft plastic or rubber; it was impossible determining the material exactly. Certainly, it is softer than usual plastic, but no more than that. 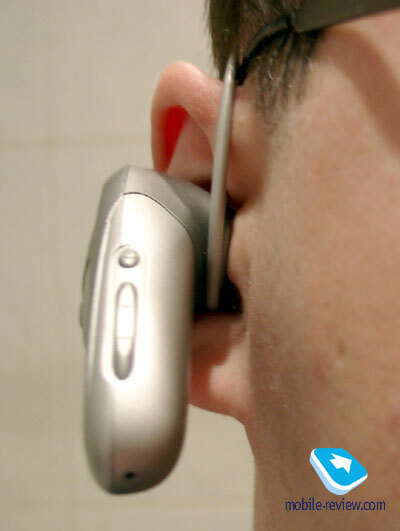 The headset is easily put on the ear, but starts pressing on it. That is caused by several reasons. First, the headset weights 30 gr, such weight is not comfortable. Second, the headset sags a little, due to its weight, springs up additional load on the holder. In case of stiff fixation on ear, such constructions could be tolerable, but the headset has agility, it hangs a bit loosely. That causes discomfort. At the same time , the headset can’t fall down, it holds on well. After several hours of using the headset, appears discomfort, the headset is felt physically. Hence, it can’t be recommended for those, who use such devices permanently. In such products, the usability is more important, than operating time. On the other hand, if you need the headset for car trips only (30-40 min), the problems won’t arise. 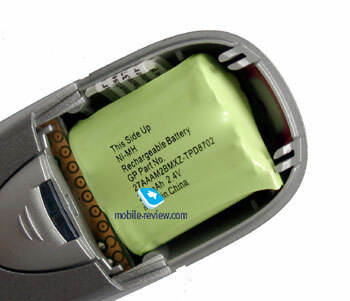 As it was already stated, the battery is NiMH, its capacity makes 270 mAh. The battery is located behind the cap of corresponding module. The battery has a special connector, it will be easy to change it in future. Unlike the majority of other rival products the battery is NiMH, that’s a minus, as the device weights more. On the other hand, such batteries don’t have problems in winter. So you can use the headset at frost, without fear to damage the battery (that especially concerns to lithium-polymer batteries). 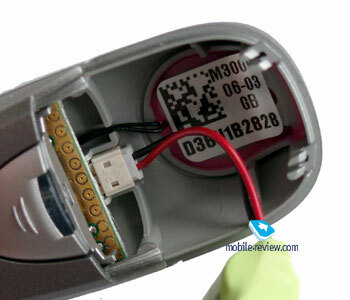 The device has no indication of battery charge level, even such primitive as products from SonyEricsson have. Therefore, your notions about left operating time should guide you. It is a minus. Volume key is comfortable when you carry the headset on the right. However, its using has no troubles when it is on the left ear. Call receive/release key is located near to the indicator. The key is handy. According to the manufacturer the microphone, used in this model, is capable to filter surrounding noise. In the room, the headset did justice to itself, it was transferring voice with good quality, and the interlocutor was heard well too. In case of maximal loudness, the noise becomes hearable, but it is not too loud. In noisy street, you hear the interlocutor well, but your speech is poorly discernible. Such problem is common for all little headsets, which have the microphone located away from mouth. The device allows diverting call to phone or conversely, muting sound, releasing incoming call, dialing the last number, which you have made. Therefore, the headset has standard function set. Description of all functions occupies two pages of user’s guide. 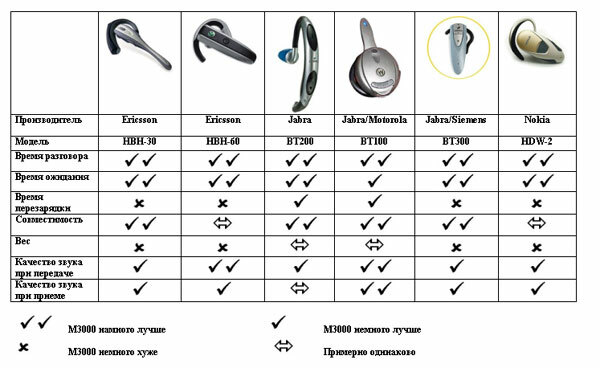 The headset is compatible with all the devices, which are on the market now, but the support of future models is realized poorly. Registration process causes no troubles, but call diverting, redial, these functions don’t work. In particular, it was possible testing these features with two devices from SonyEricsson, which will be in stock in the near future. Reasoning from ergonomics, functional opportunities the device offer nothing extraordinary. The inconvenience of using is emphasized by long operating time. It is interesting, what comparison with rival models realizes the company. 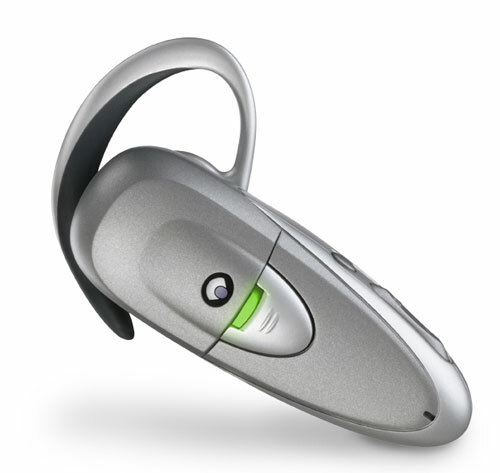 Reasoning from it, it is possible talking M3000 is the best product on the market. Look at the comparison. Unfortunately, the parameters are selected artificially, some errors present. In particular, it’s indicated that M3000 weighs 29 gr, but in reality, its weight is more by 1 gr, the same is indicated on the official site. The compatibility, which turns out very high, is not the same in reality, so, only SonyEricsson headsets have the maximal compatibility. From the comparison with HBH-60 by weight, follows that M3000 is a bit worse, but that causes questions. It’s incompetent comparing 30 and 22 gr. In reality, the 8 gr play a big role, as HBH-60 can be carried for a long time without tiredness. The examination of sound quality at voice transferring and receiving causes questions too. I don’t doubt they were made in artificial conditions, but in reality, the picture is very different. 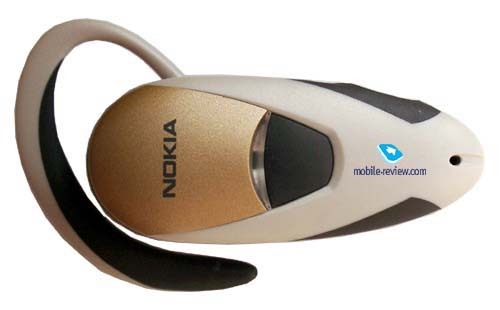 It’s necessary to be noticed the headset is based on the previous development – M2000 or if you want Nokia HDW-2. In result, the principal breakthrough was not achieved, only greater amount of phones have been added, battery’s capacity has been also increased (from 170 mAh to 270 mAh). Unlike products from SonyEricsson, it’s impossible to update the firmware. The constant comparison with SonyEricsson devices is explained by the company is recognized as the leader in this area. The cost of M3000 makes about 110-120$, it is not high price for such product now. However, it is canceled by poor usability. It should be noticed, that the headsets of new generation with similar price will appear on the market in several months. That will cancel the single advantage of M3000 and will make its purchasing wittingly unprofitable.